Once I've read: „Beauty isn't about having a pretty face, it's about having a pretty mind, a pretty heart, a pretty soul. A beautiful appearance will last a few decades, but a beautiful personality will last a lifetime.“ Sometimes I ponder how wonderful it would be if beauty magazines promoted such messages and facilitate the growing up of little girls, telling them that each have something beautiful inside, rather then compare themselves with photoshoped faces whose natural beauty is obscured by thick layer of makeup. I was never approving of excessive makeup and always preferred powder or liquid foundation underneath which a natural looks wouldn't be lost. After a lengthy search, I found it in Giorgio Armani Luminous Silk Foundation. I'll start with the packaging. The liquid foundation comes in an elegant and sophisticated elliptical 30 ml bottle of recognizable Armani design. Lower part is made of transparent shaded glass through which you can see the hue and check the consumption, while on top there is a black lacquered plastic pump for optimal dosing. The lid is made out of same material with a silver Giorgio Armani logo. First time I heard about it was when Victoria Beckham mentioned it laudably in an interview, saying that it is the only one she uses. Then I read that Kim Kardashian and Chrissy Teigen also wear it, but the final decision for purchase came when I discovered that one of the consumers is Meghan Markle. The reason why she in particular was the key factor is the fact that every time I see her face on TV or in a magazine it gives the impression of complete naturalness and her likable freckels comes to fruition. She wore the foundation on her wedding day and yet her face seemed to have nothing on it. Luminous Silk Foundation allows natural and at the same time chic makeup look and reveals the inner glow. Top experts in Armani labs have presented revolutionary micro-fil textures, an approach to cosmetics boosted by advanced fiber technology. Inspired by charmeuse silk, “the fabric of emperors”, this glistening foundation weightlessly glides across the face and produce a deep, flawless sheen. New generation of extremely light, radiant, satin and splendid formulas introduce colors and textures in a nouveau, different way, offering evenness, smooth application and incredible softness and comfort. Armani foundation procures lasting hydration and coverage, the sensation of “second skin” with a sunny finish and impeccable durability in all conditions. After utilization, the texture operatively merges with the skin and blurs the irregularities beneath airy veil that does not cause any weight. 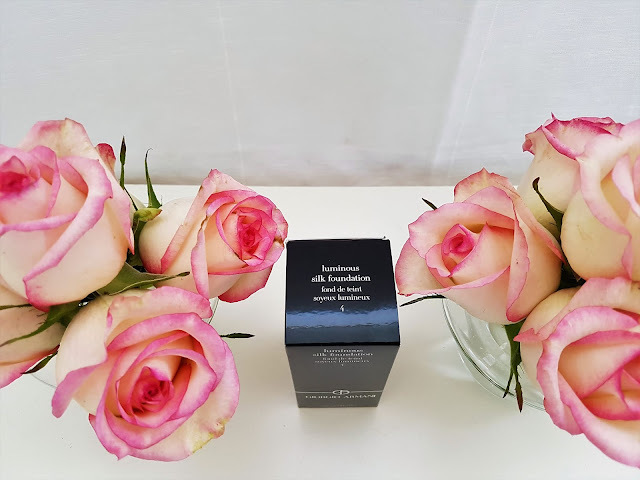 Velvety, illuminating natural finish can be upgraded if needed and because of its spectacular upstroke the foundation is an indispensable part of makeup for women who knows exactly what they want: to be beautiful, self-confident and inartificial. Armani himself stated that this product, no matter how many layers you apply, sieves a natural skin’s luster. That’s why I love it so much, along with light to medium coverage, buildability, bright finish and persistent hydration. With its unique formula and because of all of the above said, it has achieved an iconic status in cosmetics and turn into absolute favourite among numerous makeup artists, and with the help of wide selection of 31 nuances which are suitable for every single type of complexion it gained fans and admirers on a global scale. The premier usage of Luminous Silk Foundation was like love at first sight! The texture is creamy and exceptionally lightweight and it felt like I didn’t place anything on my face. When applying I always move from the centre to the sides of my face and one layer is enough to attain fresh, airy and youthful look. Since my face is clear and free of marks, any additional overlay is quite unrequired, and preferable shade 4 perfectly matches my complexion, while silky texture seems very natural and leaves no impression of the mask. I normally employ the foundation with Beauty Blender in classical pink hue. I’m sure that everyone at least once dealt with this extraordinarily efficient applicator which, due to exclusive water-activated foam, a design devised for delineation of seamless lines, reusability and supremely soft texture, secures the practise of the so-called airbrush that absorbs minimal amount of product so your favourite formula ends up on the face instead on the sponge. In my opinion it’s ideal for powders, liquid foundations, BB creams, concealers and for thorough coverage and finish. 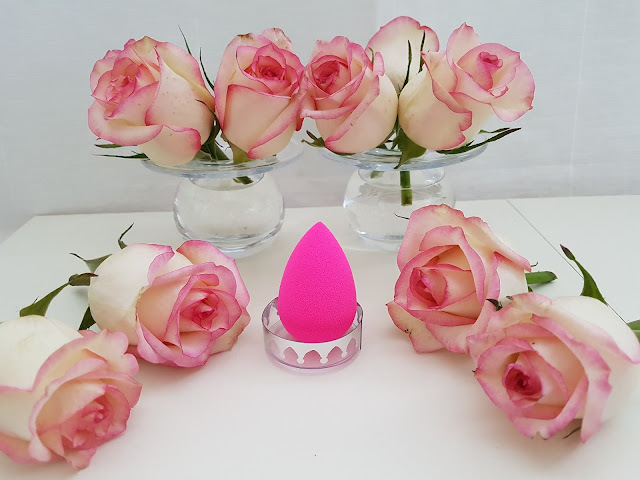 It’s also the conviction of entire cosmetic industry as this blender won the Allure Best of Beauty award for the tenth time in 2018. It's the only device I use, because it supplies precise and simple setting, improvement through build up, it’s light and practical, tender and comfortable upon touch and I can reach and cover all parts on my face with it. As you've already observed in previous posts, I put more emphasis on skin care. I believe that glittering and glossy skin originate from proper care, meaning that it’s possible to use less makeup to keep the skin still glowing. 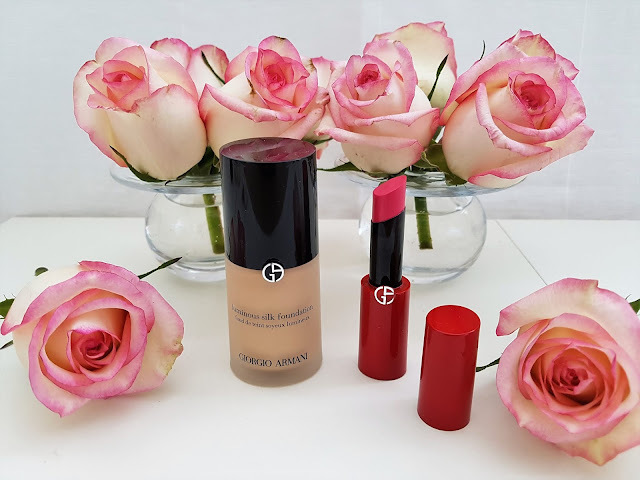 In that regard, for me it's sufficient to put on just this foundation and Giorgio Armani Ecstasy Shine Lipstick in shade 502 Drama. The delicate, facile Giorgio Armani Luminous Silk Foundation makes me feel like that, enhances the skin tone and obfuscates potential fissures without the effect of a mask. Face is not a mask – don’t hide it. Although I’m aware that we as people strive to perfection in various fields, and perfection of looks and appearance is perhaps most desirable one, still I’m more inclined to be real. We are born to be real, not perfect. Perfection is an illusion based on our own perception. We are all perfect in our imperfections. Have you tried this liquid foundation? What are your impressions? Write me in the comments. All the best till the next post! Thank you so much, dear Ale! It is really wonderful product! Drago mi je da mogu podjeliti s vama moje utiske i dojmove o ovom puderu. I've heard so much about this foundation! Thanks for sharing. Lovely photos! You are welcome, dear Kathrine. I'm glad to hear that you like photos. This foundation is very "famous" and it's possible find a lot reviews and YouTube videos about it. Looks great!! I like discovering new products. Thanks much for sharing. You are welcome. We share same love for discovering new products, because I'm always looking for new ones that I can try. I've been looking for a new foundation, this one looks like it blends nicely and I love that it is silky! If you purchase this foundation I would like to hear your impressions about it and do you love it as much as I do. Yes, it is very beautiful on the skin because gives skin medium coverage and silky finish. You are welcome, dear Janet. This foundation is really amazing, and if you try it I would like to hear your impressions about it and do you love it as much as I do. I don't think I've tried that foundation yet! I'll check it out! 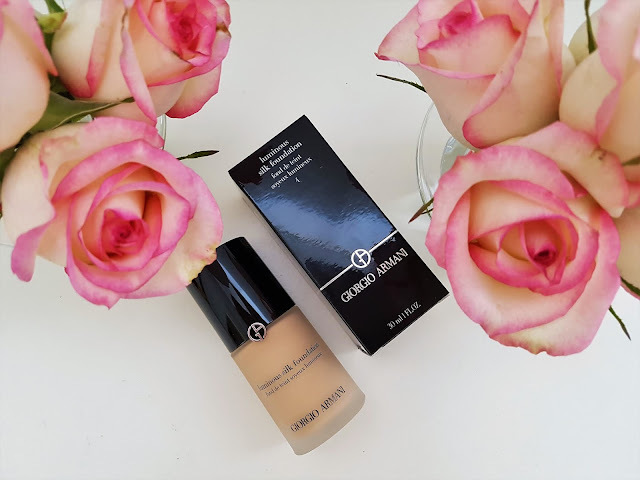 When you check out this foundation I would like to hear your opinion about it. I need to try this liquid foundation. When you try this foundation I would like to hear your impressions about it. I heard so many rave reviews about it - very keen to try it. When you try it I'm interesting to hear your opinion about it and do you love it, as much as I do. I loved the photos, you are always very careful with the photos, I loved all. Thank you so much, dear! I'm very happy to hear that you like photos. That mean a lot to me. Also this foundation is really amazing. You are completely right. This foundation is amazing and after I started using it I can't imagine my life without it. I'm glad to hear that you use and love this foundation. I can't imagine my life without it. Wish you beautiful end of week! Need to try this foundation! This foundation is amazing and favorite product of many girls all around the world, make up artist and famous persons. I also read a lot great reviews before I purchase it. Your photos are pretty, as always! 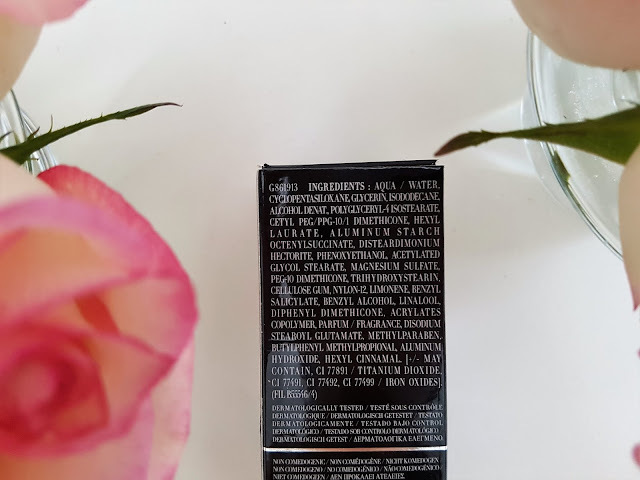 Unfortunately, the product contains palm oil, which is responsible for the destruction of rainforest, micro-plastic, which is also questionable, and it contains a drug that is hormonally active. So I wouldn't use this product. Thank you so much for your kind words! They mean a lot to me. Also, thank you for information about these ingredients. I didn't know about the consequences that they cause. Wish you beautiful new week! You know, I did not know that the Armani brand would also make great beauty products! 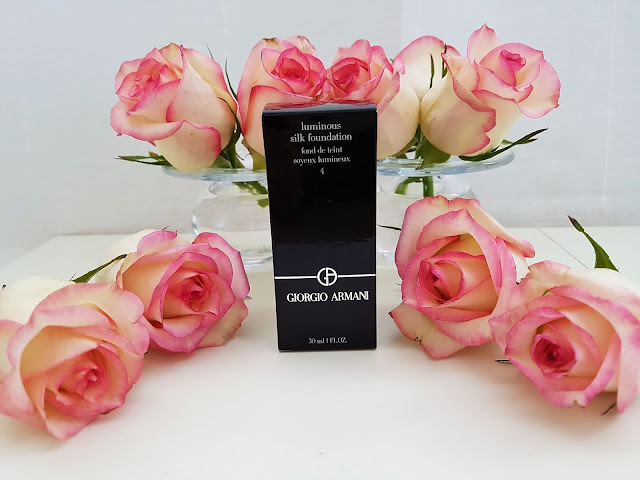 Oh yes, Armani Beauty products are great quality and awesome as well as his collections! I really love them! Thank you so much for your beautiful words. I'm glad to hear that you like post and photos. I really appreciate it. You are completely right, dear Anete. This foundation is amazing. Wish you beautiful end of the week! Thank you so much, dear Magda. Sounds really good, I want to try this foundation. You are completely right. This foundation is really amazing. When you try it I would like to hear your impressions about it and do you like it as much as I do. I am always looking for a good foundation, I will try this one! 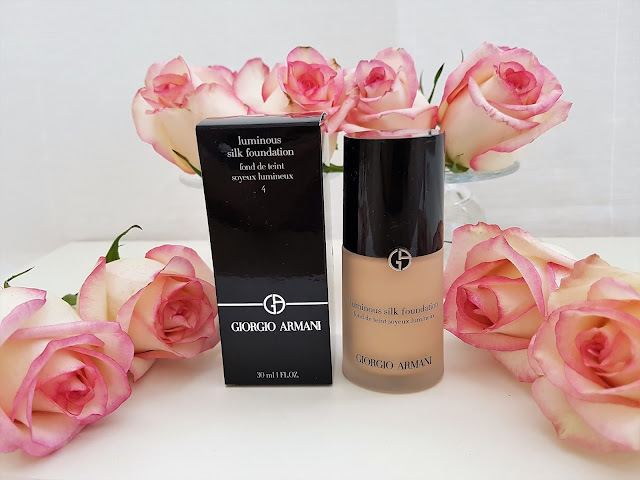 When you try this Giorgio Armani foundation I would like to hear your opinion about it and do you like it. one of my good friends is always raving about how great this foundation is! I will definitely have to try it out too! You friend is completely right! 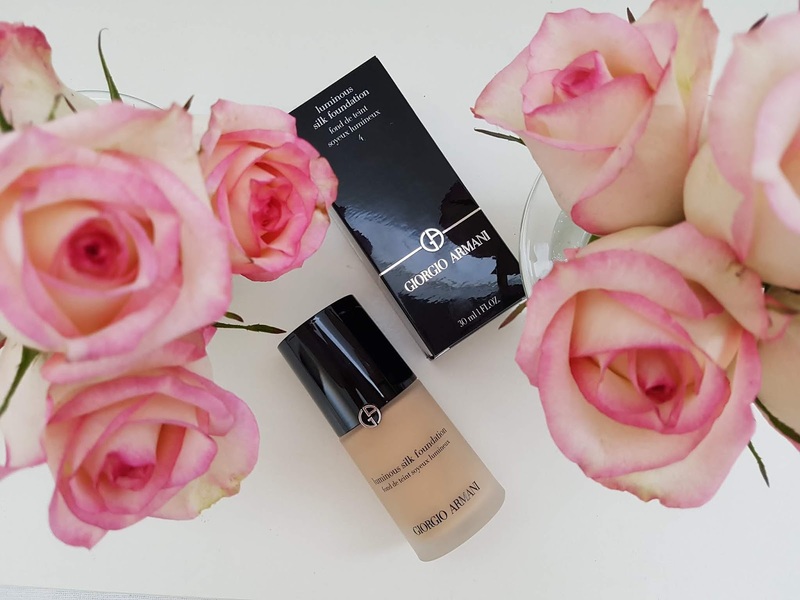 If you prefer natural skin look, this foundation is perfect. If you try it I would like to hear your impressions about it! This definitely sounds like worth an investment! I completely agree with you! If you purchase it I would like to hear your opinion about it! This foundations sounds very lovely! Got to try it myself. When you try it, I'm interesting to hear your opinion about it and do you love it, as much as I do. Hi! I would like to tried that makeup. I haven´t used this brand yet. Have a nice day! When you try any of Armani Beauty products I would like to hear what you pick for yourself and your impressions about product! My skin is normal and I'm very satisfied with it, because foundation hydrating skin. The best solution is that you pick some testers and try it, to see is it suitable for your skin. I love that quote so much because it is so true that a beautiful personality will last a lifetime! This foundation sounds wonderful. The fact that it dosen't completely hide what is underneath and lets your skin shine through has me sold. Your reviews are always so good and beautiful written! Thank you so much for your beautiful and kind words, dear Kara! They mean a lot to me and I really appreciate them. Also I'm very happy that we share same opinion about inner beauty and beautiful personality. 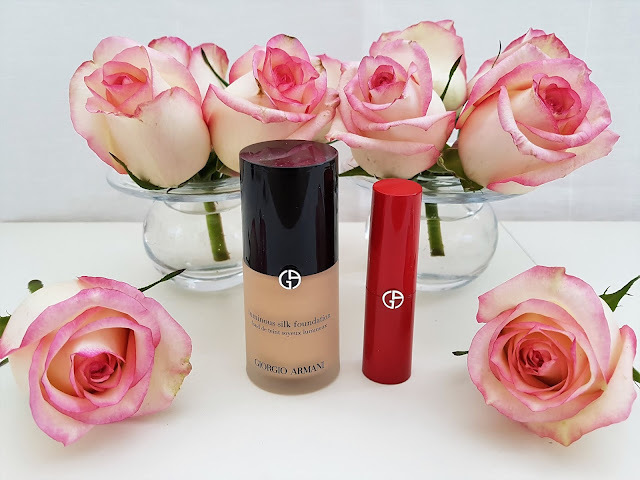 This foundation is really great product and let natural beauty shine through it. 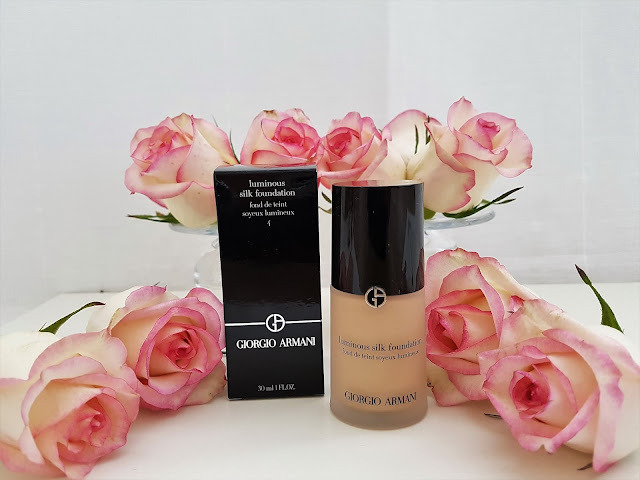 We share same love for Armani Beauty. I also really love it. When you try it, I would like to hear your impressions about it and do you love it as much as I do. I have heard so much good things about this foundation and it's one on my list to purchase. Thanks for sharing! You are welcome, dear Lovely! This foundation is my favorite and I can understand why people who try it have only good words for it. When you purchase it I would like to hear your impressions about it. I completely agree with you, dear Pathy. Also, quality of this foundation is awesome! I really love this foundation! I'm happy to hear that we share same love for this foundation, dear Paola! Thank you so much, dear Sophie for your beautiful comment. You always wrote such an amazing comment. I really appreciate it and that is something what mean a lot to me. Also, I'm really happy because we share same opinion about magazines and message that they send to young girls. Armani foundation and lipstick are amazing products. I really love them. 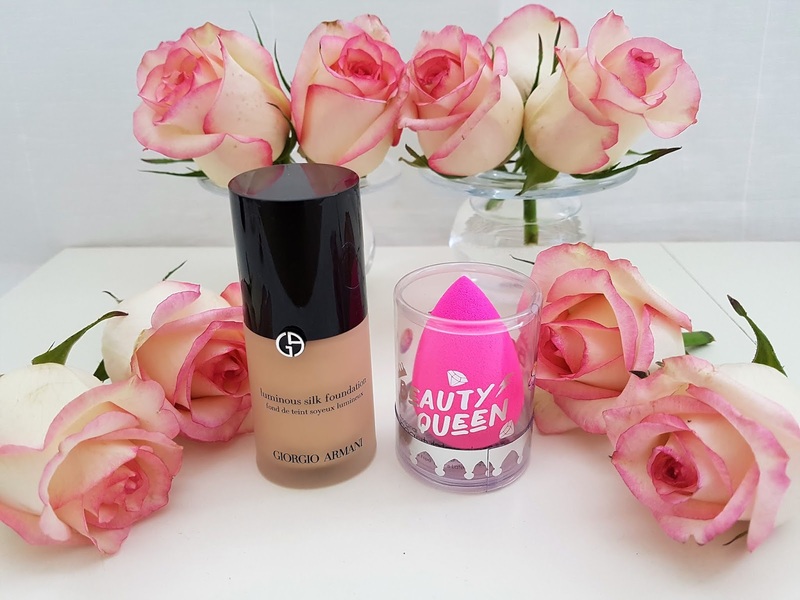 I've heard so many good things about this foundation and I'm definitely more about a natural look but now you've mentioned that it was used is the recent royal wedding I feel I must try it asap. Gorgeous pictures by the way! Everything what you heard about this product is true, because this is one amazing foundation which gives natural look. When you try it, I would like to hear your opinion about it and do you like it, as much as I do. I never tried this foundation before but it does look good. You are completely right, dear Margot. This foundation is really great! Never tried this foundation yet, hoping to soon. When you try this foundation I would like to hear your impressions about it and do you like it as much as I do. Nice review! I always wanted to try this foundation. Thank you so much for your kind words! I really appreciate it. When you try this foundation I would like to hear your opinion about it and do you like it as much as I do. Thank you so much! I really appreciate it. this foundation sounds cool. thanks for sharing. This foundation is great and I really love it. I have never used anything of this brand but the pigmentation of the product seems to be great. You are completely right. 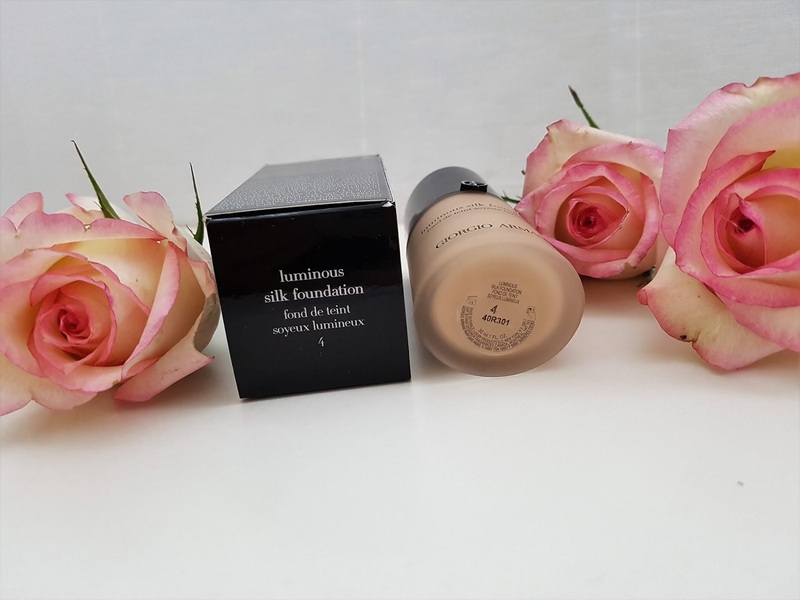 Pigmentation of this foundation is really great! Não conhecia a marca, adorei os produtos parece serem sensacional. Armani Beauty products are really sensational! Oh my! I would love to test that foundation. Also the other products look really good. When you try this foundation I would like to hear your impressions! You are completely right Ecstasy Shine Lipstick is amazing, as well as foundation! Thank you so much! Armani Beauty products are very famous all over the world! I'm happy to hear that you like this foundation! You are completely right, dear Gabrielle. This is amazing foundation because when I wear it my face looks like there's nothing on it. I completely agree with you about Armani foundation. They are great products. Everything what you heard about this one is true, because this is amazing foundation! When you try it I would like to hear your opinion about it and do you like it. I've heard such good things about this foundation! Before I purchased it, I also read a lot reviews and good comments about it. Many girls and womans around world use it and they are very satisfied with it. Now I'm one of them. You are welcome, dear Liz. This foundation have amazing texture which I really love. Great post and review dear. Lovely photos! Thank you so much for your kind words! They mean a lot to me, and I really appreciate it! Have a beautiful end of week! You are completely right. 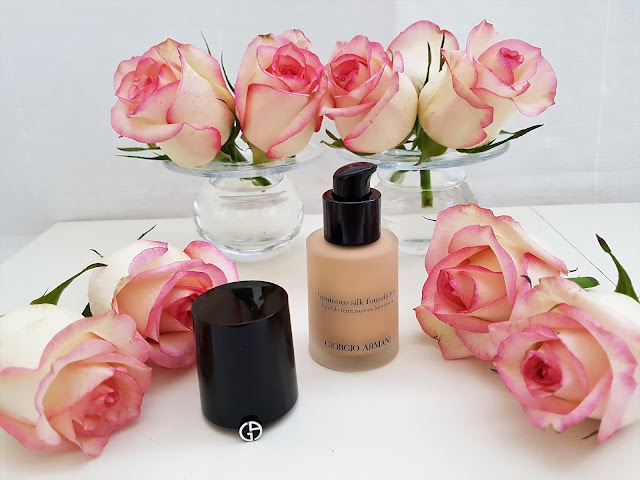 This is amazing foundation which looks so natural on face. Like I don't have nothing on it. This is interesting that Victoria Beckham says she uses only this foundation as I think it looks like she has the perfect skin. Therefore I'll keep this foundation in my mind :) Thanks for sharing! You are welcome, dear Rena! I completely agree with you about Victoria Beckham skin. It looks like she don't have nothing on it. 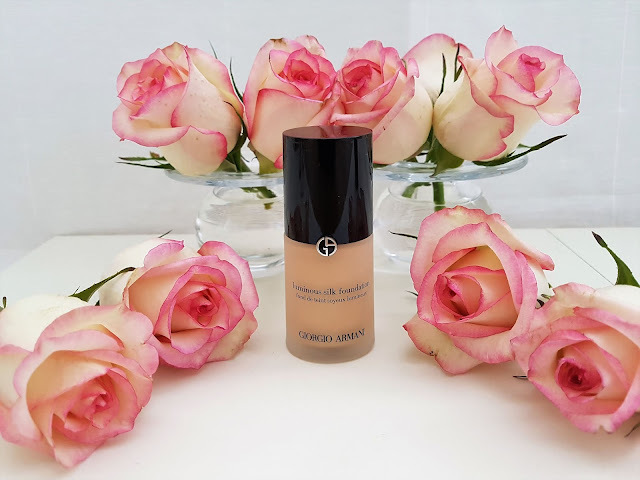 When you purchased this foundation I would like to hear your opinion about it and do you like it, as much as I do. Thank you so much for your beautiful words! I really appreciate them! This foundation is really amazing product. I really love it. I'm happy to hear that you bought Christmas gifts. I also enjoy pick gifts for my family and friends. I I had no idea they had a beauty and cosmetics range :) Just learnt something. Have a wonderful thanksgiving weekend. I'm happy to hear that you learn something from this post! Armani, expect wonderful fragrances have make up and skin care products and they are also amazing. I've never tried this one, but It seems very good. Photos are fantastic!! Thank you so much for your beautiful words! I really appreciate it. 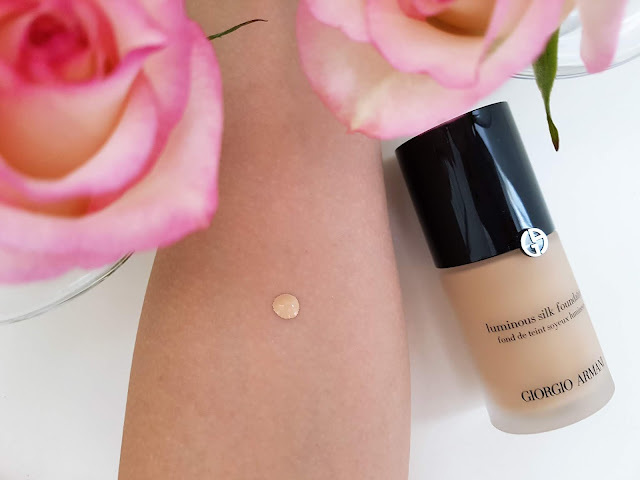 When you try this foundation I would like to hear your opinion about it, and do you like it as much as I do. I can see why so many famous ladies swear by this foundation, it does sound wonderful. A foundation that looks natural and feels light weight on the skin sounds like a perfect foundation to me. I'm a fan of natural looking make up and this especially applies to foundation. I think that people often forget that we shouldn't eliminate basic human traits in our search for perfection. Freckles are adorable and there is no need to hide them. I'm just not a fan of over edited images, or make up looks that make people look like dolls. But I guess we all define 'perfection' in our own way. I completely agree with you about "perfection" and that term is different for every person. I always avoid "mask or dolls look" and prefer natural looks, which are look like I don't have nothing on face. 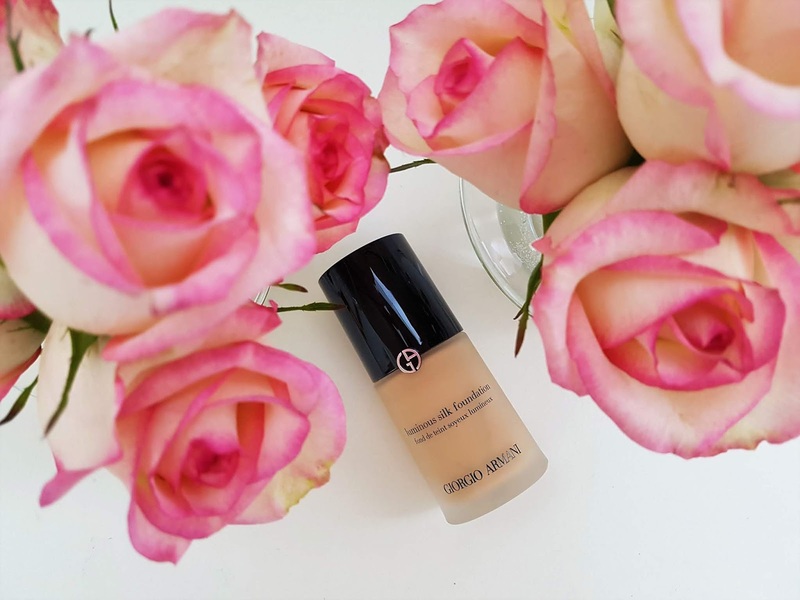 This foundation is perfect for creating it. One of my favorite. 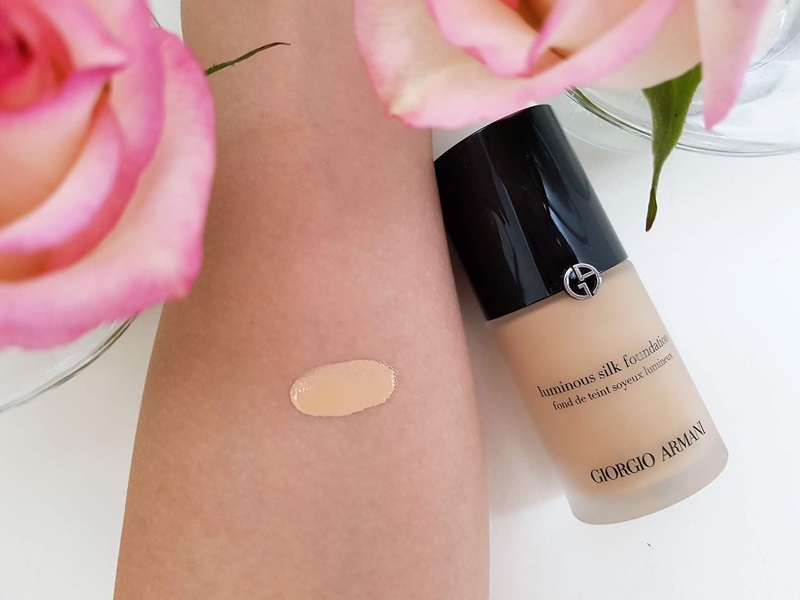 This is one of two foundation that is a perfection shade...and it wear well. I'm happy to hear that you love this foundation as much as I do. Have a beautiful new week! I'm glad to hear that we share same love for Armani foundation! They are really great products!